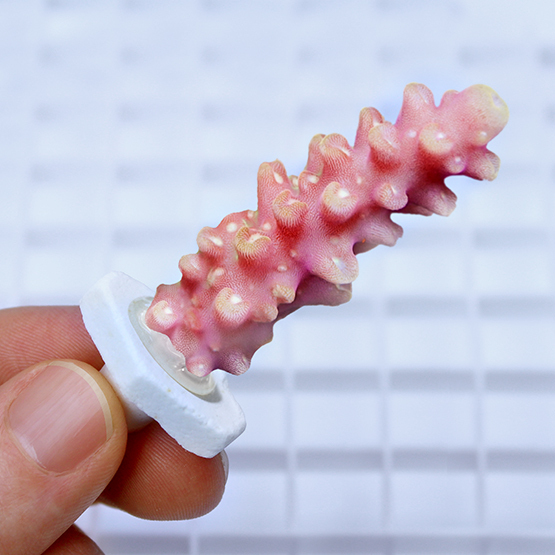 Seachem’s Coral Plugs™ are a chemically advanced means of supplying a unique platform for the stable mounting and/or grow out of all coral fragments and colonies. 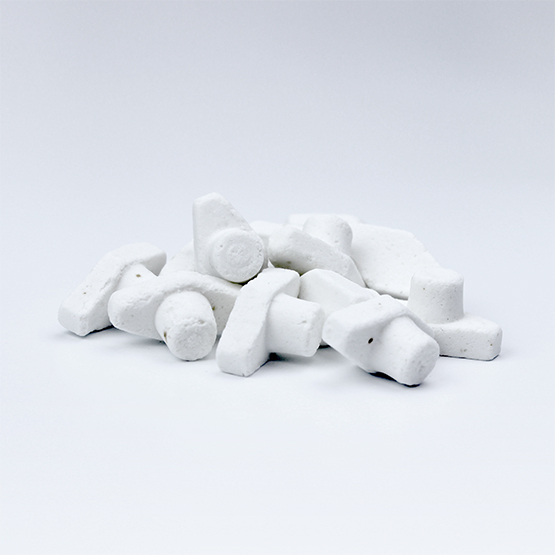 They are enhanced with calcium and magnesium to aid corals in rapid and secure growth. They are designed for mounting SPS and LPS coral but are just as well suited for soft corals, colonial polyps, and various other sessile invertebrates. They are also designed to mesh together tightly when used in most coral culture systems so that various encrusting and colonial corals, such as zoanthids can spread quickly from plug to plug. 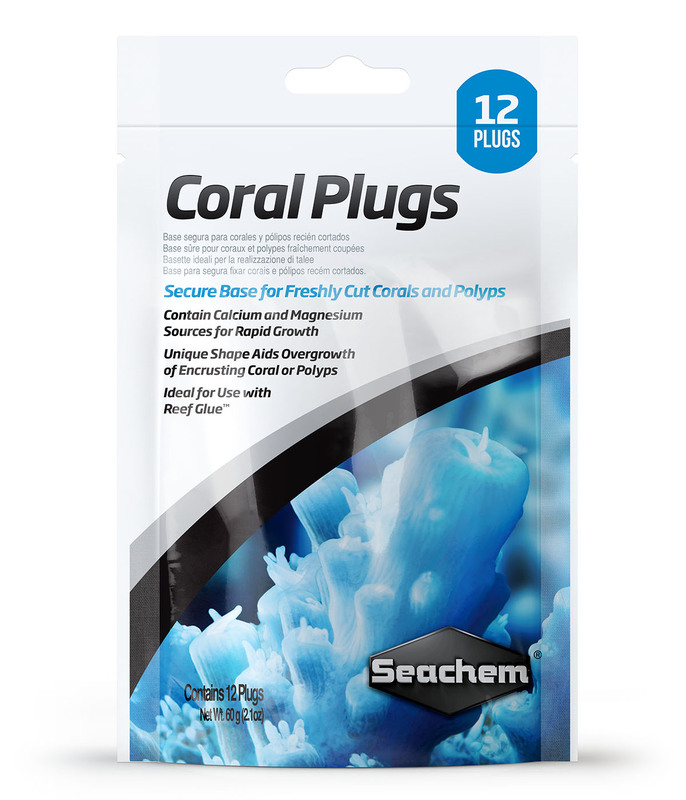 Apply a small amount of cyanoacrylate adhesive, such as Reef Glue™, to one Seachem Coral Plug™ and press frag and plug together for 20 seconds. 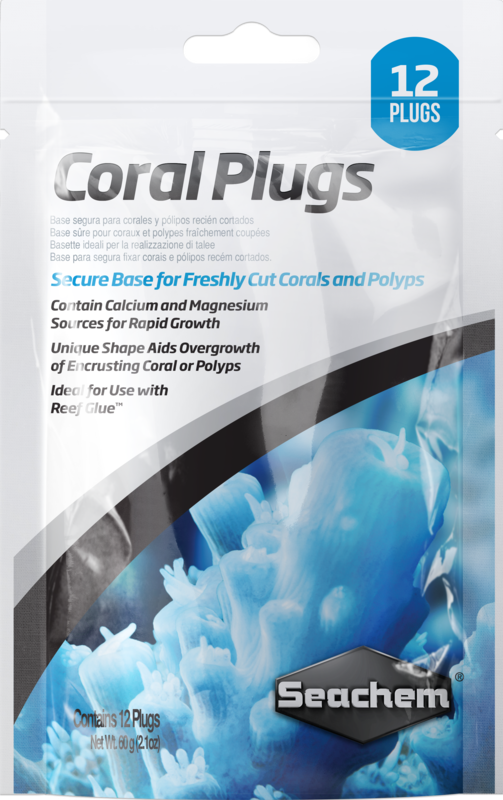 Coral Plugs™ can be individually placed as desired in the aquarium or placed in a network using egg crate.